This year’s biggest change to Pennsylvania liquor law may not affect bars, taverns, restaurants or even supermarkets that sell alcohol. Instead, Pennsylvania casinos may be the big winner by being granted the long-sought right to serve free alcoholic drinks to slots players. State House Bill 770 was recently passed by the House and is now in the state Senate, meaning this game-changing provision benefiting Pennsylvania casinos could be on a fast-track toward approval in the current legislative session. If passed, it would turn on its head one of the long-standing tenants of Pennsylvania liquor law covering free and discounted drinks. The legislation could also set the stage for some unintended consequences should bars, taverns and even private clubs in Pennsylvania ever win the right to install electronic games of chance. Pennsylvania has traditionally barred licensed establishments from giving away anything of value in an attempt to induce patrons to buy alcohol. 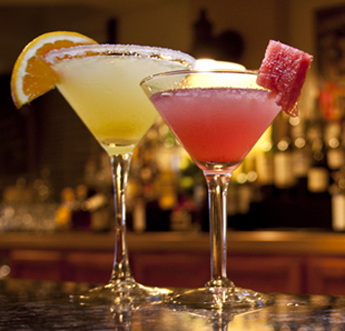 Bars and restaurants can only give one free drink per patron per day. Rules covering discounting drinks generally limit establishments to offering only one daily drink special, one daily happy hour period and mandate that all discounts stop at midnight. HB 770 (which would amend Section 493 of the state’s liquor code) drops the ban on giving free gifts involving alcohol to slots players for establishments that are either licensed to have the machines or have a conditional license. Clearly, this would be is a win for Pennsylvania’s casinos. Such perks are offered in other gambling destinations, such as Las Vegas or Atlantic City. The state’s casinos are facing increased competition from multiple northeastern states where gaming has been legalized or expanded. HB 770 is clearly an attempt to sweeten the pot and keep Pennsylvania gamblers here. As currently written the law only applies to slots, where potentially impaired gambling skills and decision making are seen as not so much of an issue as they are with table games. The way HB 770 is currently written, it could have a wider impact should slots and other electronic games of chance ever be approved for Pennsylvania’s bars, taverns and private clubs. Though the legislation is only intended for casinos, it does allow free drinks for any patron actively playing slots machines. Conceivably this would apply if other establishments are eventually permitted to install slots. It’s also not inconceivable the language could be amended further to allow free drinks to those playing electronic poker and video blackjack – all games Pennsylvania’s bars and taverns hope to offer one day. Whether such an expansion will ultimately occur is unknown and may seem unlikely to some, but it’s fair to say HB 770 may also have looked unlikely to those used to Pennsylvania’s tightly controlling and conservative liquor regulations.